Baby Girl Embellishment set. 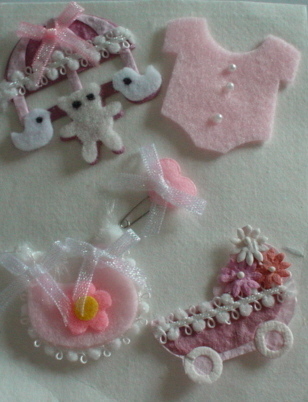 These baby embellishments are made from material and enhanced with bows, miniature flowers, wire and beads. Mobile, baby suit, nappy pin, pram and baby bib.